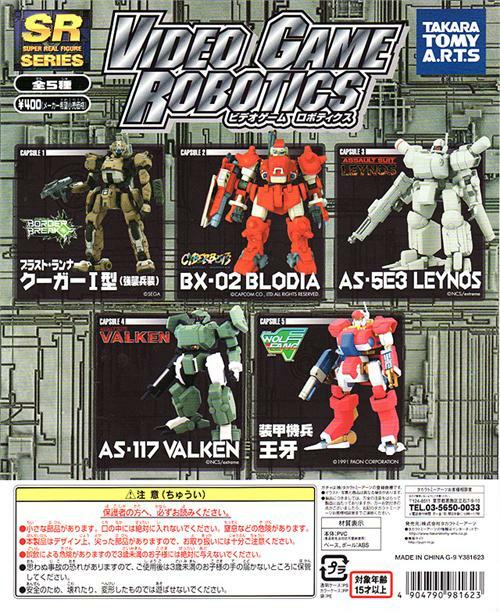 With SR Video Game Robotics, Yujin (now owned by Takara Tomy) makes an important evolution from the Shooting Game Historica series. 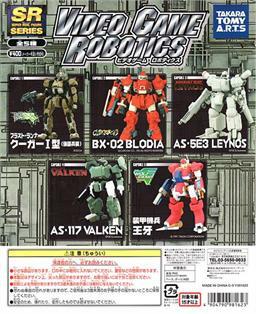 All of the robots in the set are made of articulated parts which allow each mech to be posed for action stances. The quality of the toys, in our opinion, is top-notch as today's gallery photos should convey. When we inspected the mechs yesterday and discovered the love that went into the toys, we tried to order a few more factory cases to have and to hold. Sadly, all Japanese distributors have sold out of this item but a possible S.P. edition of the Robotics may be our chance to order more.